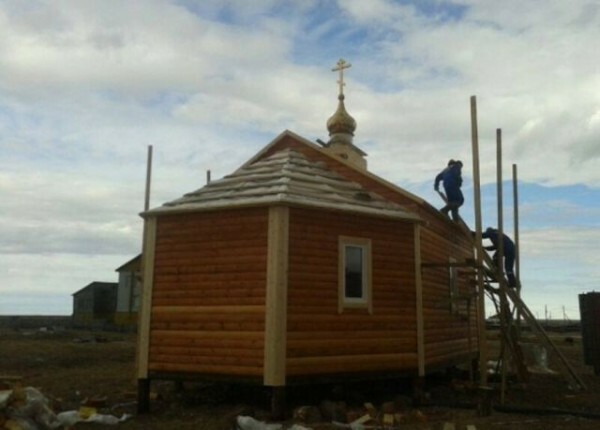 Veliky Novgorod, June 30, Interfax - Novgorod residents founded an Orthodox Church of the Icon of the Mother of God of the Sign not far from the mouth of Indigirka River in Yakutia, an official of the Novgorod Region government told Interfax. The church is located at the 71st degree of the Northern latitude and is the world’s most northern church. “The church with interior, a bell and a copy of the especially venerated in Novgorod icon of the Mother of God of the Sign has become a gift of our region to the 375th anniversary of the Yakutsk Village Russkoye Ustie,” the interviewee of the agency said. Russkoye Ustye on Indigirka was founded in the 17th century by descendants of Novgorod residents who escaped from the shattered Novgorod Republic and Ivan the Terrible’s persecutions the century earlier.